The Maternal Fetal Medicine (MFM) Subspecialty Residency Program (Fellowship) is a fully Royal College-accredited two-year subspecialty program. This program provides advanced training in high risk obstetrics and prenatal diagnosis, with excellent clinical exposure and supervised experience in all aspects of the subspecialty. Fellows are expected to participate in basic science and/or clinical research projects. Protected academic time is provided and teaching in research methodology, statistics, and study design is offered. In preparation for becoming an academic physician, formal instruction is offered in how to teach in the clinical setting and participation in multidisciplinary/interprofessional committees is encouraged. The program is based at BC Women’s Hospital (BCWH) in Vancouver, British Columbia. This is a 95 bed maternity hospital that delivers both primary and secondary level obstetrical care to the Greater Vancouver area and tertiary/quaternary level care to the province of British Columbia and the Yukon. With over 7000 deliveries each year, there is a wealth of clinical material for learning and research opportunities. 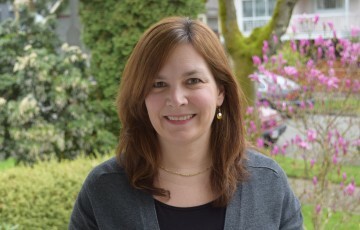 The Maternal Fetal Medicine faculty is complemented by the UBC Department of Medical Genetics, the BCWH Department of Specialized Women’s Health, the Surrey Memorial Hospital Maternal Fetal Medicine Service, and the Diagnostic Ambulatory Program (DAP), which encompasses the BCWH ultrasound department and ambulatory clinics. If you are a resident interested in doing an elective in this program, please contact Scott Lewis, scott.lewis@vch.ca.